With the World desperate to find energy sources that do not emit carbon gasses, nuclear power is back on the agenda and in the news, following the increasing cost of fossil fuels and concerns about the security of their future supply. However, the term 'nuclear power' causes anxiety in many people and there is confusion concerning the nature and extent of the associated risks. 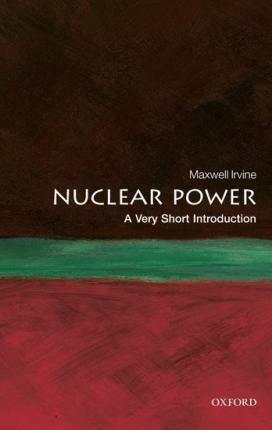 Here, Maxwell Irvine presents a concise introduction to the development of nuclear physics leading up to the emergence of the nuclear power industry. He discusses the nature of nuclear energy and deals with various aspects of public concern, considering the risks of nuclear safety, the cost of its development, and waste disposal. Dispelling some of the widespread confusion about nuclear energy, Irvine considers the relevance of nuclear power, the potential of nuclear fusion, and encourages informed debate about its potential. John Maxwell Irvine is formerly an honorary professor of Physics at Manchester University, and was formerly Vice Chancellor of Aberdeen University and later of Birmingham University. He is a past chairman of the Science and Engineering Council's Nuclear Physics Committee and of the Royal Society of Edinburgh's Inquiry into Energy Issues for Scotland. He was also a special advisor to the UK's Committee on Radioactive Waste Management.